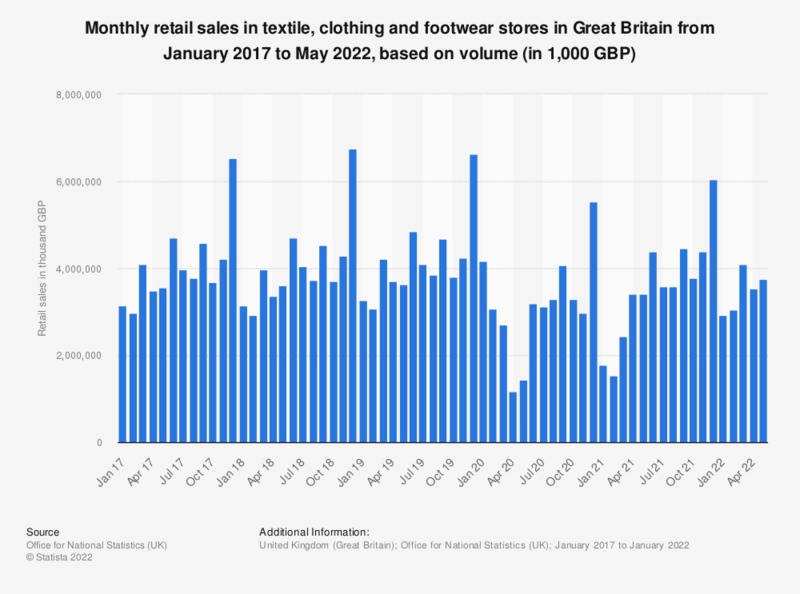 This statistic shows the value of total retail sales volumes through textile, clothing and footwear stores in Great Britain monthly, from January 2016 to September 2018. In July 2018, approximately 3.91 billion British pounds worth of items were sold through textile, clothing and footwear stores in Britain. In sales value terms (amount spent), the Office for National Statistics (ONS) reports slightly lower figures. * Total retail sales volume (quantity bought), non-seasonally adjusted.